Key difference: Peppermint is a hybrid variety of mint. The key difference between the two mints is based on their slightly different flavors, aroma and their vegetation. During the scorching summer heat, a glass of lemonade with a hint of mint, relieves and calms one’s senses to the core. It is not lemon, water or sugar, it is that flavor and taste of mint that does the trick. 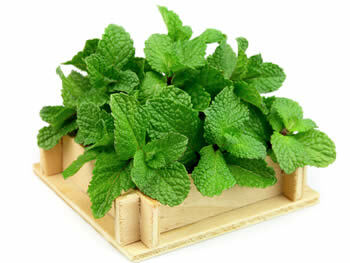 Mint is a widely famous herb known for its menthol cooling properties. Though, the mint is known, but what about its types, as the resemblance between the original and its varieties sure gets confusing. Mint is an herb plant whose leaves, seeds, and flowers are used for flavoring food or in medicine; its other applications include cosmetics, dyes, and perfumes. The term ‘mint’ is a generic that is often used in reference to all varieties of the said plant. There are 13 to 18 types of this plant that belong to the same Lamiaceae family, and are widely used as seasonings all over the world. In the early history, mint was used as a breath freshener. The name was derived from the Greek word ‘míntha’, which means ‘menthol’. Mint has a small bushy herb with wide spreading stolons, branched stems, oblong leaves that are dark green and gray-green to purple, blue, and sometimes pale yellow. Mint also has white to purple flowers, and the nutlet is a fruit that contains 4-5 seeds. Based on the different varieties of Mint, the fresh and dried leaves are used as seasonings in different cuisines, from India to the Southern US mint julep. These leaves are also infused in drinks for the ‘minty’ flavor and refreshing taste. Also, because of the warm, fresh, cool and sweet flavor of the Mint, it is widely used in jellies, syrups, candies, and ice creams, etc. These cool characteristics of mint are also used in medicines to improve stomach aches, chest pains and to treat the insect bites. Mint tea is diuretic, and because of its antipruritic properties, mint is included in lip balms, shampoos and in mouthwashes. Peppermint, on the other hand, is a sterile hybrid plant that has been used for adding flavor and aroma to a number of foods and other items. It is created by the blend of water-mint and spearmint leaves. It is a perennial plant with smooth stem, fibrous roots dark green leaves and purple color flowers. Because of the two mints, it has high menthol content, and is widely used in both medicinal and commercial purposes. 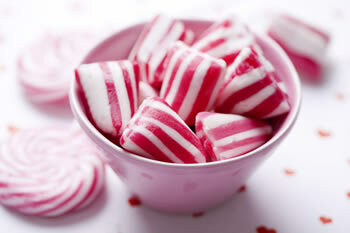 Peppermint has a long and distinguished history in health aid, as it contains high amount of nutrients and vitamins. It is also used in curing sore throats and runny noses. The oil of the plant is considered to be an excellent rub for tired or strained muscles. As part of aromatherapy, the scent is understood to help relieve stress and restore emotional balance. The appealing taste of pepper mint helps to make food items like ice cream, tea, chewing gum, and dinner mints more desirable. Chocolate covered mints often include peppermint oil, as does the traditional red and white hard candies that many people love keeping in their homes. The oil also adds a welcome hint of taste to several types of liqueur. It is also used in shampoos, soaps, and body washes, since the peppermint leaves a pleasant scent and a cool sensation to the skin. Many varieties of toothpaste also rely on it to help leave a pleasant taste in the mouth. Thus, from the above explanations, it is pretty clear that peppermint is a type of mint, and there is not much difference between the two herbs.